This post i will show you how to create XML metadata using Talend and simple use of tFileinputXML component. List of topics covering in this post. Simple XMl Parsing using tFileInputXML. Source XML file for demonstration. Step 1: Create XML Metadata using Talend. 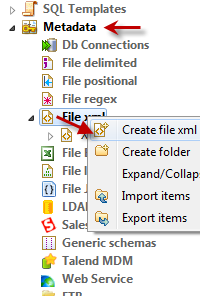 Go to the Talend repository Metadata node and right click on File XML . Provide valid name for metadata. In third Step we have to find out which node should be our XPATH LOOP Expression? for that you can find out the leaf node or last node of XML, in above file <Item> is the leaf node, so we will take that one. see the screen for mapping. 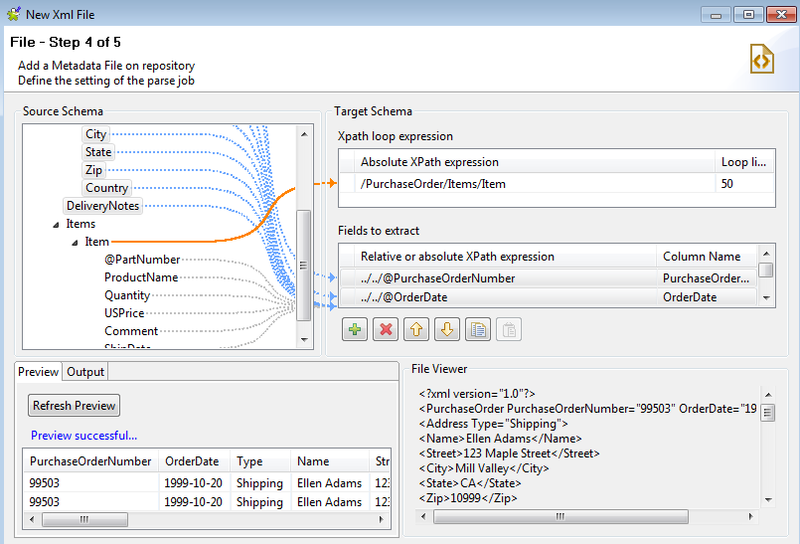 Create XML Metadata using Talend. 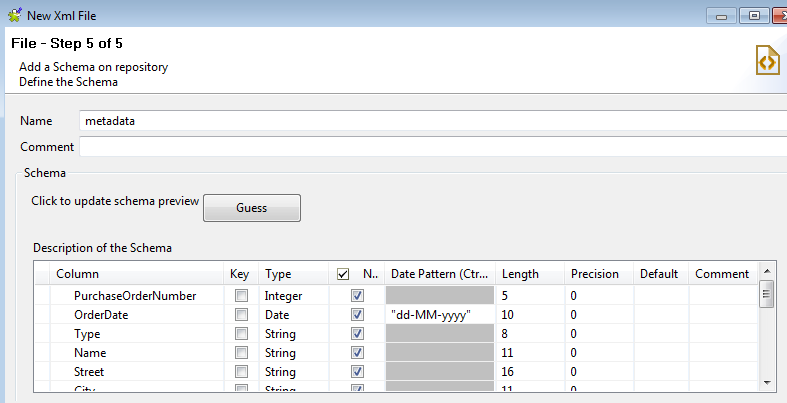 Once column selection completes then Click on preview button to review the extracted result. If every thing looks fine then proceed with finish button which will take you to the next screen with generated schema, here you can change data type, column name, length if required. For now we will use tFileinputXML to extract XML data, lets drop that. Connect tlogRow to tFileinputXML component and execute the job you see the result, if result not displayed then repeat above steps. Simple use of tFileinputXML component.